Stock status is current as of 4/25/2019 12:04 AMET. 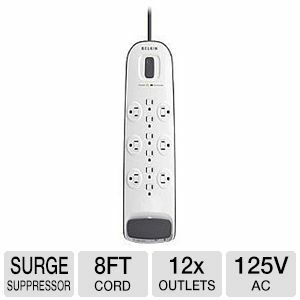 Get a sleek power solution for your home or office with the Belkin 12-outlet Surge Protector with 8 ft Power. 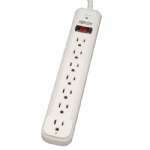 This Power Distribution Strip has 12 power outlets, 1 Phone in port, 2 Phone out ports, and cable/satellite in & out ports. 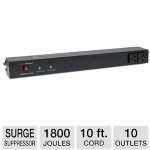 It has an inbuilt surge protection system to protect your valuable devices like from damaging voltage fluctuations. 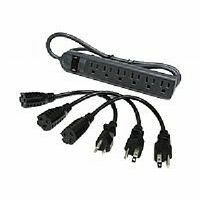 It connects multiple devices with ease & is compact in size to take along on travels. 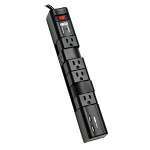 Purchase Belkin 12-outlet Surge Protector with 8ft Power Cord!